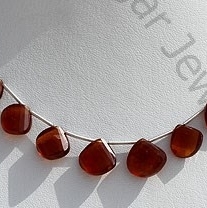 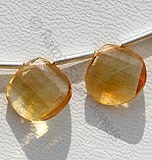 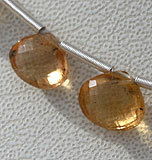 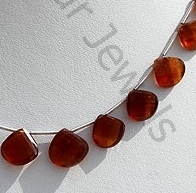 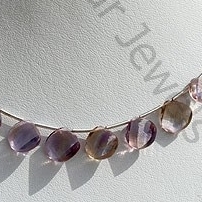 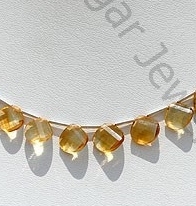 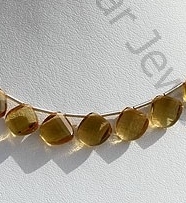 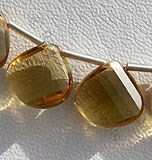 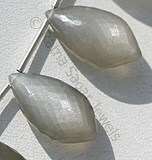 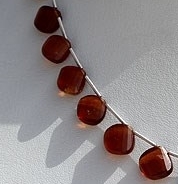 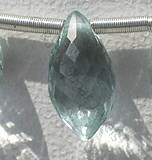 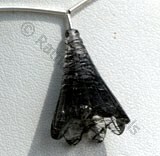 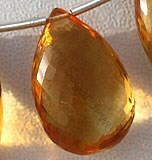 Are you looking for an eye catching shape for Honey Quartz? 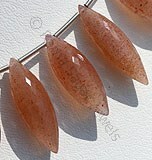 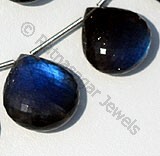 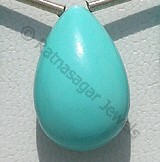 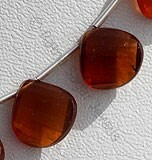 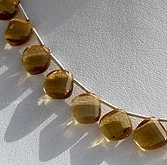 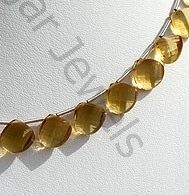 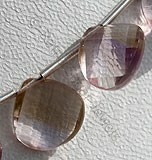 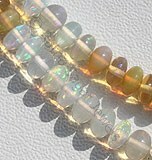 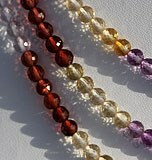 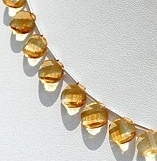 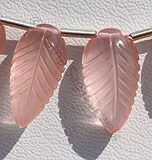 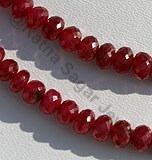 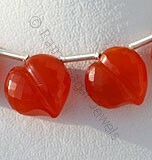 Take a look at Ratna Sagar’s Honey Quartz Twisted Heart Briolette shaped gemstone beads. 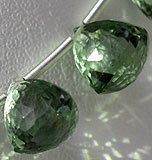 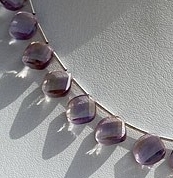 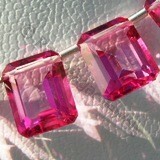 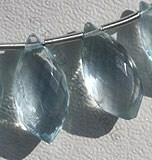 The pear heart shaped beads with a classic twist will make you fall in love with them at a very first glance. 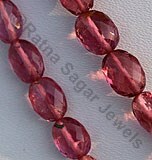 It is nothing less than an artistic marvel. 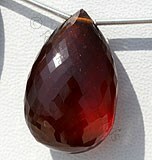 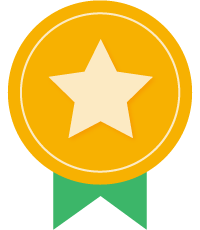 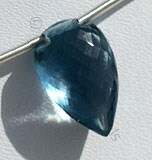 The shape represents beauty of heart. 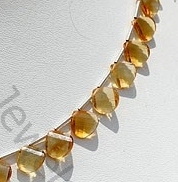 Impress everyone by wearing jewelry like necklaces, rings, pendant and earrings studded with honey quartz twisted heart briolette shaped gemstone beads. 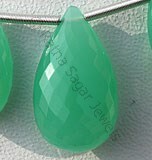 Visit Ratna Sagar Jewels to buy heartwarming collection of twisted heart briolette shape beads in semi precious and precious stones. 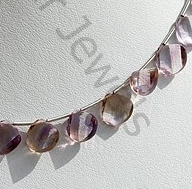 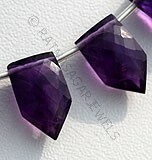 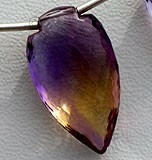 Ametrine Natural Gemstone is combination of Citrine-Amethyst quartz, possess property of transparent with vitreous luster and are available in purple-yellow light color with spiral cut, Twisted Heart Shape. 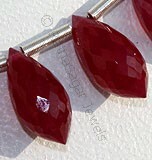 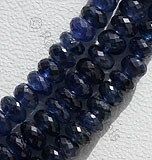 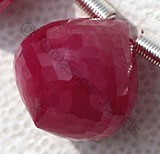 Spessartite Gemstone is a variety of manganese aluminium garnet species, possess property of semi-transparent with vitreous luster and are available in deep red-orange color with spiral cut, Twisted Heart shape. 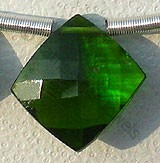 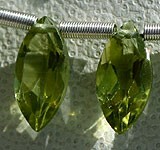 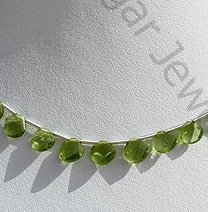 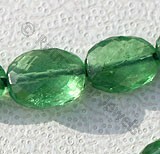 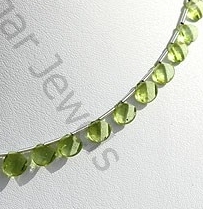 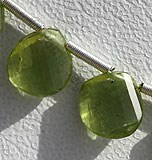 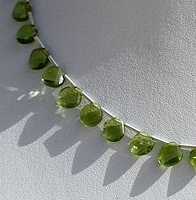 Peridot Gemstone is a variety of mineral Olivine, possess property of transparent with vitreous luster and are available in olive-green color with artistic spiral cut, Twisted Heart Shape. 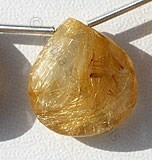 Citrine Natural Gemstone is variety of orange-yellow quartz, possess property of transparent with vitreous luster and are available in light golden-yellow color with artistic spiral cut, Twisted Heart Shape.